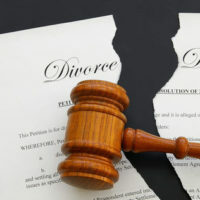 When we think of dividing property in a divorce, we often think of dividing our stuff. We consider who will get the house, the cars, the furniture, and perhaps the family business. We don’t give much thought to things that we have earned now, during the marriage, but which we won’t get to enjoy until later on. One of those things is a retirement account. Let’s say Spouse A has worked for 15 or 20 years, and the retirement account has grown in worth and value. Spouse B has helped that retirement account grow, either by working in his or her own job, or by staying at home, taking care of kids, etc. Now the spouses get divorced. Because both spouses may be many years away from retirement, benefits (payments) from the retirement account may be many years away, and may be the last thing on the spouse’s mind. Why not just pay out half of the retirement account to Spouse B now? If Spouse A has those funds, that is an option, but it may not be a good one, especially if Spouse A doesn’t have that money. Additionally, the cash or payout value of the account would need to be determined to decide what to pay. Unlike a normal bank account, which can be liquidated and divided, most retirement accounts are not liquid. Even if you can liquidate them, there are severe tax penalties to doing so, meaning both parties will take a significant hit by just dissolving the retirement account. You can certainly say that when Spouse A retires, and can access the accounts and receive payments, Spouse B gets some of the payments. However, to get a retirement account to actually pay someone other than the employee retiring (the payee), it takes more than a judge signing an order with common language saying this. In order for a retirement account to make payments directly to someone other than the payee (Spouse A in our example), a judge must sign a very specific order, which has specific language in it. That is a qualified domestic relations order, or QDRO. Making matters more complex, every kind of retirement may require different language for the QDRO. For example, military pensions may differ from those held and paid by government agencies for government workers. Does the retirement plan have provisions for early retirement buyouts, or does it provide supplemental or temporary benefits? These are issues to be addressed in a QDRO. Remember that the QDRO is being drafted to ensure that the spouse that is not a payee on the retirement account gets proceeds from the account. As such, it is a document that legally protects only one spouse. That means that you should avoid jointly hiring a professional to draft a QDRO for both of you, as there is an inherent conflict of interest. At the very least, both sides should have a professional ready to review, if not draft, any proposed QDRO presented by the other spouse. Make sure all assets are accounted for and properly divided in your divorce. Our Tampa asset and debt division attorneys at the Pawlowski//Mastrilli Law Group can help you handle problems dividing property.